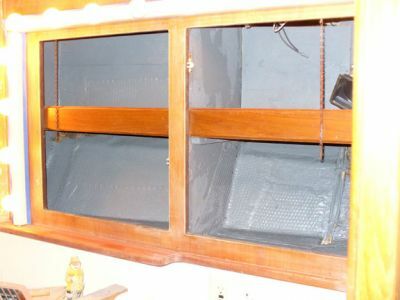 Velvet was removed from these cabinets and all areas were sanded, vacuumed and then painted with an acrylic latex paint. An acrylic latex paint will be easy to clean and not hold odors. 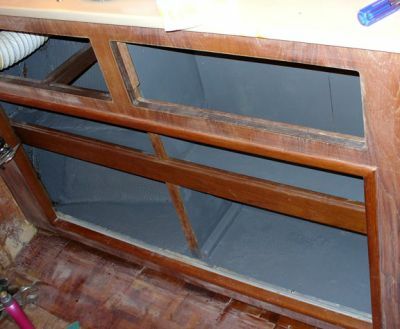 The lower cabinet was done as well. We considered if these cabinets needed a fabric in them at all. Our first inclination was that they did not.